Where to Buy Catchmaster 602PE, Catchmaster 602PE Snap Trap for Mice - 5 Pks - $6.47 for Sale with Fast Free Shipping! Catchmaster 602PE Snap Trap for Mice - 5 Pks feature expanded triggers that make baiting and setting a "snap". Simple is the best, it's just a simple mouse trap, but it gets the job done and at a such a low price, it turns out they are selling 5 at a time, so if you buy 1, you actually get 5 traps, and if you buy 3 then you get 15 traps! 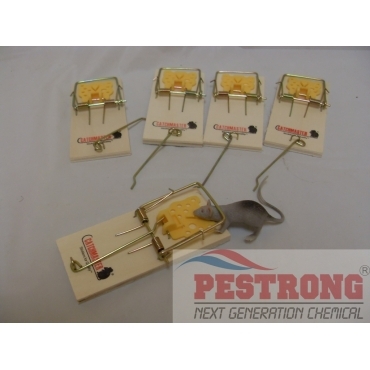 just get your traps and put some bait on it and start catching these annoying rodents!